Understanding Power Purchase Agreements | West Coast Solar, Inc. 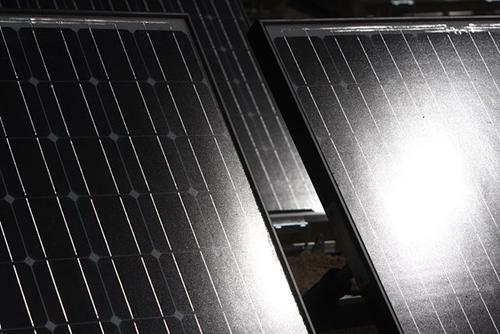 Recently, the U.S. military announced that Fort Bliss in El Paso, Texas, would be installing a $120 million solar panel array with a 20 megawatt capacity, providing 14 percent of the base’s electrical needs. But something unique about the system is that it will be financed using a power purchase agreement with El Paso Electric, who will be building the array in exchange for an agreement that the base will buy the power it generates. What exactly is a power purchase agreement, and why would an institution use this method to integrate solar energy into its energy plan? The answer is relatively simple. An institution, such as a military base, school, or large business, agrees to have a solar panel system designed and built on their premises. The developer who constructs the array pays for the building and operating expenses, saving the institution the upfront costs that come from building large-scale photovoltaic systems. In exchange, the entity agrees to buy power generated by the system at a set price. There are incentives for both parties to engage in such an arrangement. The organization or firm buying power will get competitive electricity rates that are often lower than if they were buying directly from the grid. The developer gets a steady stream of revenue from the electricity is sells, plus they can take advantage of various tax rebates and incentives for having built a renewable energy source. A solar PPA allows organizations and companies to enjoy the advantages of renewable, clean electricity without having to pay the upfront costs. If you’re interested in finding out more, contact West Coast Solar today.